Check out what Drummers and Sound Engineers are saying about the Drum Muff Product! Steve Hass Attended Berklee College of Music on a full scholarship. He was with the Ravi Coltrane Group, The Manhattan Transfer. Guitarist and Miles Davis alumnus, John Scofield on the “Ray Charles project.” Bob Sheppard, Bob Mintzer, Alan Pasqua, John Beasley, Bill Cunliffe, Jimmy Haslip, Mitch Forman, David Garfield, Dennis Hamm, Jeff Babko and more. In 2010 he teamed up with “The Difference” production team of Adam Gurr and Carlton Douglas. Together they created Hassbeat Production Studios, a full service production company and recording studio where Steve is able to produce music and record drum tracks for artists around the world. Dave Stark is a Zildjian artist, a Vic Firth artist and a Drum Muff artist. He is a teacher, a session artist and a clinician that graduated and now teaches occasionally at Berklee College of Music. Your product is a total game changer! My group, Ari and the Alibis, plays in the Tampa Bay area, mainly Sarasota. Our biggest audience is wealthy older people so volume is always an issue. After researching a bunch of products I chose Drum Muffs. I ordered them Tuesday and received them Thursday in time for our show. The drummer on that gig was Dave Stark. He had been using rods with us to keep the volume down and honestly it made the drums sound unbalanced with crap tone and he was still to loud. Last night I placed drum muffs on his kit and Holy Lord it sounded awesome. All tone, no ring and for the first time ever the singer could really hear herself! and he was using sticks!. I’ve been performing for twenty years and had never had a stage sound that clear. The only thing I could relate it to is like listening to play back in a studio control room. I was on the other side of the twenty foot stage and wished I had a little of him in the monitor. The sound guy was blown away as was the audience, they all said it was the best a band had ever sounded in that room. 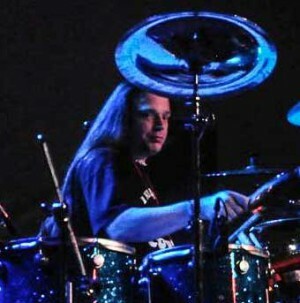 Sean “The Cannon” Shannon – drummer/engineer, Sean has made music with artists like Molly Hatchet (1999-2001), Billy Payne (Little Feat), Pat Travers, Brian Howe (Bad Co.), Les Dudek, Rob Rock, Chris Impellitteri, Charlie Daniels, and many others, and has worked on records with producers Dennis MacKay (David Bowie, Judas Priest), Malcolm Springer (Collective Soul, Faith Hill), and Steve Thompson (Guns n Roses, Metallica). 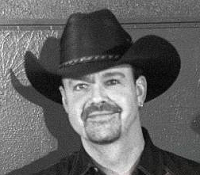 Darryl Craiger has played for Stevie Wonder, BB King, REO Speedwagon and a long list of famous groups. He is currently teaching and taking professional jobs as they come up. He recently took the Drum Muffs to the World Famous Stevie Ray Blues Bar to test them out. There was an event where 7 bands were playing. 7 different drummers used the set with the Drum Muffs on them. Above is the message he sent us the other day. Rocky Caron: One of the most famous drummers in the US is using our Drum Muffs and loves them! His name is Rocky Caron: When internationally renowned music artists such as Grammy-nominated Joe Nichols, Texas Country Music Hall of Fame legend Johnny Lee, Darius Rucker (“Hootie & The Blowfish“), Mark Miller (“Sawyer Brown“), and Larry Stewart (“Restless Heart”) needed a powerful and dynamic drummer to support their “star” stage positions in various performance situations, their needs were easily met and surpassed by Rocky Caron. 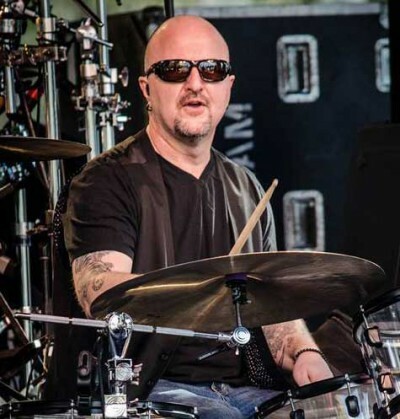 Additionally, Rocky has also successfully filled the drummer’s seat for several respected “Classic” bands such as “The Coasters”, “The Angels”, and alternative rocker “Edwin McCain“. 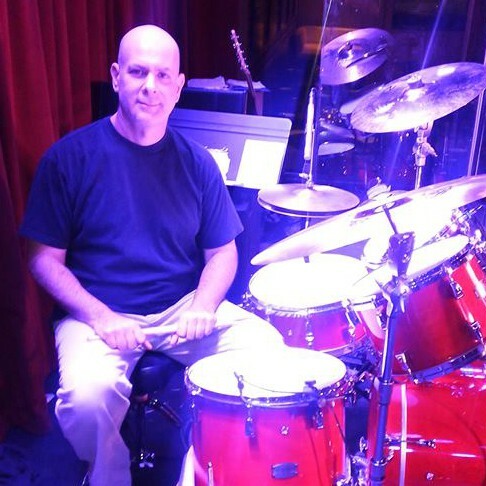 David Axel, professional drummer, owner of Rockstar Music foundation in Orlando. Rockstar Music is a non-profit organization that offers lessons to all ages. They have professionals teaching: Drums, Bass, Guitar, Keyboards and Vocals. No one is turned away for financial reasons. This is an awesome place for students to call home socially as well as musically. Drum Muff supports Rockstar Music, both financially and with gifts of musical instruments for those who do not have the finances to afford an instrument. Some of their drummers are special needs children and cannot tolerate the loud sound of cymbals. The Drum Muffs take the volume down significantly for them. We are thrilled to be able to help this worthy cause. Jack Bartlett of Orlando. 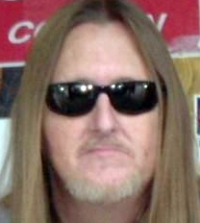 Jack is a craftsman with Starr custom guitars and a sound engineer with several notable bands. 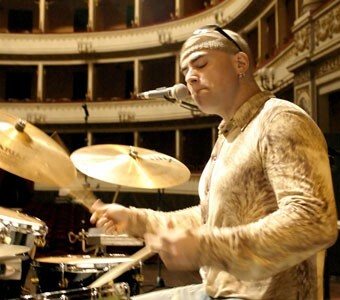 Josue Sepulveda – sound tech that has travelled the world and has worked with bands like: Train, Marc Anthony and more. He also designs and makes the in-ear monitors for Advanced Ears. I went to a rehearsal studio in Manhattan tonight with my original band, The Turnback, to prepare for an upcoming gig. This gig will include a house-kit. And with a house-kit, you really never know what you’ll find once you get there unless you go to the club the night before to take a look. While arranging the studio’s kit, I warmed up and asked the band to listen to the drums for a minute. Then I took out the Drum Muffs and applied them to each drum. Took about another minute. They could NOT believe the control that they afforded me in such a short time. The snare was crisp, dry and still maintained its tone. The toms were also amazingly controlled. There wasn’t any long ringing after being struck and the attack and tone was maintained! The band was floored to say the least and I’m so happy to be a part of the Drum Muff family!! Here is a photo of the kit. I had the good fortune to meet up with my old friend and Berklee classmate, Dave Stark, when he came to one of my shows in 2015. He gave me some Drum Muffs to try. Being a dedicated purist who only played open tuning on my drums, I was skeptical, but I I tried then out. Every “muffling system” I had used before just killed the tone of my drums and I felt that I might as well put cardboard boxes instead of toms on the mounts. After putting the Drum Muffs on my kit, I started playing my drums and immediately had that WOW moment – one that I rarely get anymore after decades of playing! My drums sounded better than ever. The tone and the sustain remained, but the sound was even more pure. It was like a lens that was dialed into sharp focus – the very tones I try to achieve were highlighted, and any annoying harmonics and overtones removed. It was incredible. It was completely the opposite of any other muffling system I had tried over the years. I was hooked. I knew immediately I was never going to play my drums again without the Drum Muffs system on my kit. I even proceeded to use them on my ride cymbal and one of my crash cymbals. Exact same result as on my drums. The tone became more pure. The central sound was isolated and far more prominent and other overtones reduced. The stick definition and “whisper” of my ride was enhanced. I began putting them on house kits at several of the best music venues in South Florida. The sound men flipped. They just loved it. And they begged me to leave he Drum Muffs with them. I was running out of Drum Muffs really fast! 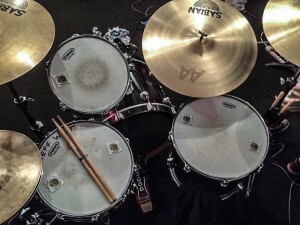 I was very happy to see that each time I have come back to play these venues, the Drum Muffs remained on the house kits. Fast forward to this week, when I recorded drum tracks for the new EP for one of the main bands I play with, The Ben Sparaco Band, at the renowned Power Station Studios. I had muffs on all the drums and, again, the ride and one crash. Suffice it to say that, between the Drum Muffs and the skill of Power Station’s chief engineer, Paul Kronk, I achieved the best drum sound I ever got in all my years of recording, and I have recorded at studios like The Hit Factory and Electric Lady, among others. I can’t say enough how much I love this product. Both my band mates and sound men consistently exclaim to me, without any prompting, how incredible my drums sound. One venue I play at repeatedly says they are always excited when I show up, because my kit is the best sounding kit they have ever mic’d up through their system. I will never go back to opening tuning again. Thank you, Dino, for all you do and your support of drummers everywhere, by producing a true quality product that really makes a difference in drum sound today!